Wow, what a trip! After two weeks on the road attending the Association of Anglican Musicians Conference in Washington, DC AND the AGO National Convention in Boston, it is nice to be back home. One of the reasons I chose to pursue the organ rather than piano was the joys of congregational singing. For me, there is very little more exciting musically than a room full of people raising their voices together in song (accompanied by the organ). The hymn singing at both of these conferences did not disappoint. I think I heard someone describe the three volume levels of conference singing as sing, stun and kill! Whether it was new music or old standards, everyone at the conferences sang gustily every time they were given the chance. When a congregation sings well, the organist has many more liberties in what he or she can play. When I was studying at Westminster Choir College, the music director at Trinity Episcopal Church in Princeton was John Bertalot. He is a fabulous hymn player, so I asked about taking lessons from him. His reply: “Why do you want lessons? Hymn playing is easy. You play anything but what is on the page!” What always amazed me then was his ability to do that while the choir and congregation sang the harmonies as they were printed on the page. (The simple way to practice this is to invert the voices or solo out the alto or tenor instead of the soprano melody – that’s what we covered in my first lesson.) With daily worship during AAM, there were plenty of opportunities to experience such fabulous hymn playing (in addition to some excellent choral singing). This was my first AAM conference, and I plan to attend next year when the conference will begin literally in my back yard with a pre-conference day in Winter Park and Orlando before moving over to Tampa. After a brief stop in New York, I journeyed on from Washington to Boston for the AGO convention. 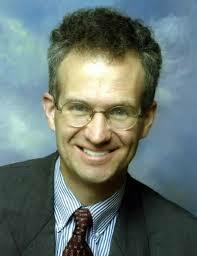 Unfortunately, I missed the hymn sing led by Richard Webster on Sunday evening. If I had seen the poster beforehand with the quote from the Chicago Tribune – “Gabrieli meets Darth Vader.” – I might have expedited my travel plans a little to make sure I was there. The first event I was able to hear was the National Compeition in Organ Improvisation (NCOI). As described last week, five competitors performed two improvisations on themes given to them with 30 minutes of preparation time. This round was held at First Lutheran Church of Boston on the Richards, Fowkes & Co. organ. Bálint Karosi is the music director there and served as host. The organ (full stop list here) is in North German Baroque style, and this fact proved to be one of the larger difficulties for the candidates. The themes for the first task (a chorale fantasy, partita, or suite) were the hymn tune Burns by Bruce Neswick, the chorale Puer nobis, and the chant Pange lingua. We had one improvisation each using the hymn and the chant. The other three candidates chose the chorale. Given the style of the instrument, a partita or fantasy in German style seemed the best match for music and instrument, however the final candidate managed to secure a spot in the finals with a delightful suite in French style on the hymn tune! The second task of the semifinals was free of any imposed form and gave the candidates a choice of using a melody by Benjamin Britten and/or Greensleeves. This is where some of the candidates started running into problem both from a composition stand point as well as using the instrument to convey their ideas. Most American improvisers are used to playing on instruments with pistons for registration changes. This organ did not have pistons. They also have been greatly inspired by the French tradition illustrated by Marcel Dupré and Pierre Cochereau. Unfortunately, many of the techniques and favored dispositions of this style can create hiccups, burps, tremolos and all sorts of other unhappy sounds on an instrument with unstable wind like this one. In discussions with other audience members, it seemed like the last three candidates would advance to the finals, however the judges selected candidates 2, 4 and 5. Competition results can be a mystery sometimes and sometimes the differences between players can be subtle, so while I was surprised by the selection, I also was not surprised. When I arrived at St. Cecilia Church to hear the finals, we were told that one of the competitors had withdrawn. We later found out that he had returned home the day before to be present for the birth of his child. As he was a strong contender, I was disappointed that he was unable to compete in the finals, however, his excuse was completely understandable and acceptable. The themes for part one of the final round were King’s Weston by Ralph Vaughan Williams, “Hedwig’s Theme” from Harry Potter by John Williams, and Valet will ich dir geben by Melchior Teschner. The themes for part two were Adoro te devote, lines 151-67 of “Il Penseroso” by John Milton and the painting “The Passage of the Delaware” by Thomas Sully. Both finalists chose to use the Vaughan Williams hymn tune. The second candidate (and winner) also included Valet will ich dir geben. For the second part, we heard an improvisation on the literary passage and one on the artwork. Both improvisers started with a fantasy inspired by the style of Maurice Duruflé. Where the second competitor truly outshone the first was in the abundance of thematic material. Hardly a moment went by when there was not something heard that could not be tied closely to the theme. This difference continued in the second improvisation as well. While there was no musical theme implied by the selected improvisation subjects, the second competitor basically began with a clear statement of a melody that might have been played by a fife accompanying the army across the river. He then proceeded to vary and develop this theme, once again providing us with a piece with thematic material clearly stated throughout. With it’s patriotic and fanfare overtones, I suspect he won the audience prize by a landslide. The judges for NCOI in Boston this year were Christa Rakich, Carson Cooman, and Edoardo Belotti. The five semi-finalists were Chris Ganza, Matthew Koraus, Douglas Murray, Patrick Scott and Samuel Soria. Second place was awarded to Douglas Murray and Patrick Scott received the audience and first prizes. The next competition will take place in Houston at the 2016 AGO National Convention. I have heard there are some rule changes for the competition, so if you’d like to enter, be sure to keep an eye on the NCOI page at AGO headquarters. While there were many other improvisation events during the AGO convention, I don’t want to be like some of the competitors and ramble along too much, so I’ll save my commentary on those events for another time. These two weeks were a change of pace for me as well as an opportunity to be exposed to some different ideas. Part of continued growth is the opportunity to relax and discover new material. 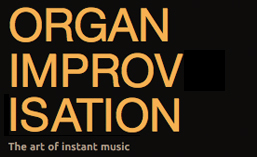 If you haven’t had the opportunity to hear others improvise lately, be sure and check out the YouTube video links at organimprovisation.com. Is there an organist that you don’t know listed here? If so, check out their performances to see if you can gain any new ideas. Being an organist can be a lonely profession, so I am thankful for these intense weeks where I’ve been able to meet, connect, and hear so many other fine organists. Now it’s time to rest and digest all that I took in. Wishing you a relaxing summer of fun and learning! Posted in Newsletter. Tagged AAM, Adoro te devote, AGO, AGO National Convention, Bálint Karosi, Benjamin Britten, Boston, Bruce Neswick, Carson Cooman, Christa Rakich, Edoardo Bellotti, First Lutheran Church, Greensleeves, Harry Potter, Hymns, John Bertalot, John Milton, John Williams, NCOI, Newsletter, Pange lingua, Puer nobis, Ralph Vaughan Williams, Richard Webster, St. Cecilia Church, Thomas Sully, Valet will ich dir geben, Washington DC, Westminster Choir College. Bruce Neswick is an associate professor of organ at the Indiana University Jacobs School of Music and previously was director of music at the Cathedral Church of St. John the Divine in New York City. He was formerly the organist and choirmaster of St. Philip’s Cathedral in Atlanta for many years. Posted in Organist. Tagged American, Atlanta, Bruce Neswick, Indiana University, New York, Recording, St. John the Divine, St. Philip's Cathedral, Urbs Beata Jerusalem.